Bee Cause — To Bee or Not to Bee? “Slowly Learning?” — I scratch my head in wonderment. Where did I read those words? I have become aware that some slow learning is what I need at this juncture in life. How about you? This is a way we can slow down, be attentive to overlooked dimensions and gain knowledge we otherwise might miss? Our culture is often better at fast-forgetting than slow learning. To be labeled a “slow learner” in school is problematic — it is a stigma, a barrier to future success. In my search for abundant life, however, I have come to recognize this is a label to which I aspire. New condos for the hives, just bee-cause. I enrolled in a particularly challenging “slow-learning” curriculum this spring. My teachers, all 14,000+ of them, arrived in late April. They came in two small packages, 16x8x6 inch boxes with over 7,000 honey bees in each. I prepared for their arrival by constructing two hives. One hive was named “BEE WARE” and the other christened “BEE CAUSE.” The bees arrived on April 21, the day before Earth Day. At this point my learning curve went up in an almost perpendicular direction. Can I learn from such a large faculty of over 7,000 in each hive? I fret. The weather is cold. And, then I remember — slow learning may be my best option. I kept bees before. 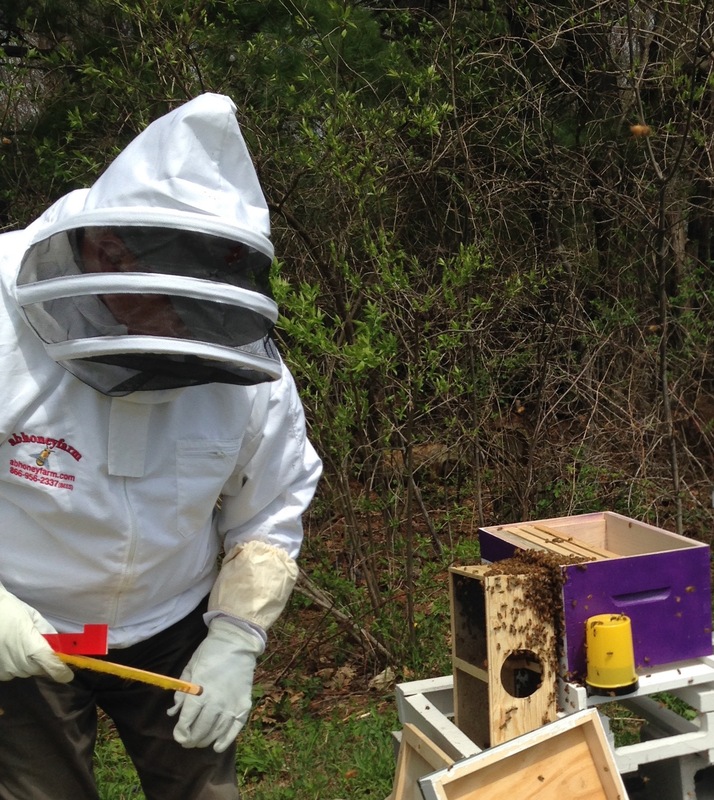 My first lessons in beekeeping came when I was in graduate school in Atlanta in the early 1970s. It was a different time, before we heard of Africanized bees or the threat from a changing climate or the failure that results from an overuse of pesticides. Having forgotten the little bit I once knew those many decades ago, I began again in the slow-learner class. 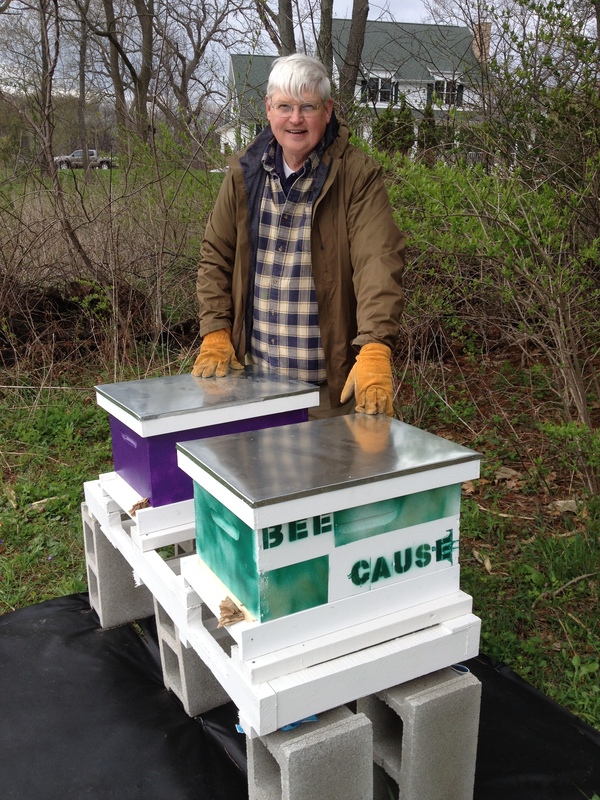 After attending the Indiana Bee School in March, I read and watched videos for beginning beekeepers. It was clear much had changed. Today bees are increasingly understood as critical, make that essential, to a healthy environment. Bee-ing attentive to the lessons at hand. Sadly, too many in our nation’s political leadership don’t seem to desire to learn these lessons at all. Are they moving too fast? Or, are they blinded by their attachments to wealth and power that actually encourages ignorance and denial? It is, frankly, amazing that in the face of the dramatic changes in our environment, congress votes over-and-over on bills that deny any environmental changes are occurring. And, how many absurd television commercials does it require to tell us that BP really cares about the environment or that fracking is a safe way to provide for our insatiable carbon appetites? McKibben notes there are many ways to address the challenges we face. One way is through activism — he is the leader of the 350.0rg environmental coalition. McKibben also notes other ways we can continue to learn and make a difference — by staying at home and doing small things like keeping bees. He speaks of his friend Kirk, the bee-keeper. Kirk becomes a counterbalance to McKibben’s admittedly contradictory rushing around from protest to protest in petroleum fueled airplanes. He notes some need to protest and others need to give primary attention to care for the earth before we lose much more of our environmental carrying capacity. 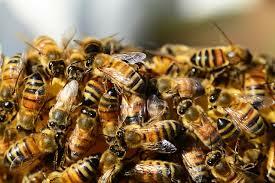 One small example of this earth care is by beekeeping. SLOWLY LEARNING — I remember now. It comes from the last line in the poem “Thirst” by Mary Oliver. This poem, this prayer, is my prayer during the spring of 2015. “Love for the earth and love for you [God] is having a long conversation in my heart.” So, I make this small act of learning from my bees… and perhaps they will give a little something extra in return. We all can learn, we can move beyond intentional ignorance, we can agree that we can join in slowly learning a new way forward. 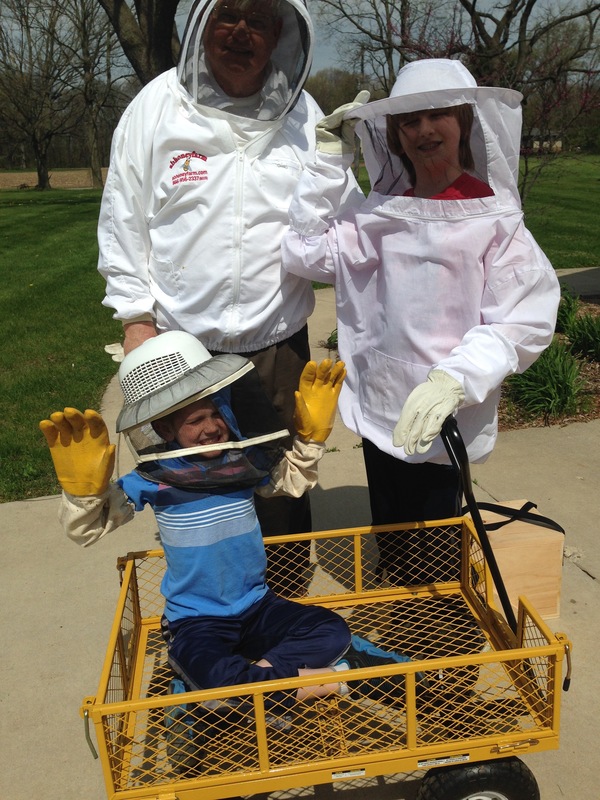 Grandsons Colin and Zack Murray get ready to help check on the hives.